I’m no posh Steiner Rancher, gentle reader; rather, Le Chateau du Scamp is in an extremely modest subdivision near Hamilton Pool. I was reflecting as I drove out into Lakeway yesterday evening that it’s all very well to live within one’s means, but it helps that one has Nice Places To Go so close to home. I walked into the ballroom like I was walking onto a yacht, and who happened to be manning the bar that night but the debonair owner himself, Mr. David Parrish? I thought I was lucky, but it turns out that David works his store every day, nearly all day, so I guess we’re all lucky. The walls, as you can see, are filled with bottles for retail sale, but evidently any bottle you like can be opened for a reasonable fee. They hold a wine tasting from 4-7, which I had missed that night, and there’s a wine club as well. There were three people including David clustered around the bar (this place, like many, is suffering from the renewal of football season), exclaiming over a bottle that they were tasting. As I was browsing the store, a nice young man who later introduced himself as Kail (sp?) walked over to me and asked, “Would you like to taste a really fantastic white wine?” and handed me a glass. Well, who could turn that down, boys and girls? Certainly not yours truly, and thus I was seamlessly pulled in to a delightful tasting session. The wine they were tasting was the Monastero Suore Cistercensi Coenobium 2005, a delightful wine made by Cistercian nuns in Lazio. 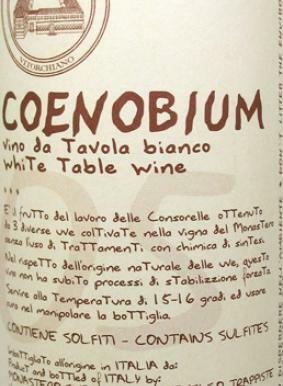 The wine’s name, Coenobium, means monastery in Latin. It’s a blend of Trebbiano, Verdicchio, and Grechetto grapes, and evidently vinified without oak; I must say that the color of the wine, combined with its viscocity and rich creaminess made me pretty confident it had some oak treatment, but I was wrong, wrong, wrong! The weight of the wine, as it turns out, comes from the Grechetto, a grape that is mostly vinified into Vin Santo, though it’s also blended into Umbria’s signature white wine, Orvieto. Golden straw in color. Apple pie, honey, nectarine, apricot, and licorice gang up on my nose riotously. This is phenomenal sniffing wine; it’s creamy, spicy, floral and fruity all at once, and I love that about it! The palate is tart, with bright apple and some herb on the back-palate. The crisp minerality of the finish lingers pleasently as I stick my nose in the glass again, and again , and again. This wine will be selling at Vino 100 for about $20, and would be a perfect wine for Thanksgiving or any other occasion. Really noteworthy. Mondosapore liked this wine too, so you know it’s not just me. Tasting with David and Kail (again, unsure of spelling!) was Jessica Sellers of The Serengeti Trading Company, which ironically enough is right down the way from my house! If you’re local and you like using burlap for mulching (it’s excellent if you have trouble with erosion like we do), they have lots of used burlap coffee bags, and they give them away for free. Free, I say! Anyhow, they were bummed that I missed the excellent white Burgundy they had just finished, and after hearing about Wine Blogging Wednesday #39’s theme, they opened up another bottle! It was an excellent Macon Solutre-Pouilly, and that’s all you’ll be hearing about it until November 14. So this David Parrish guy was in the semiconductor business, travelling between plants in France, Germany and California (and learning wine the whole way there and back), when he woke up at three in the morning and decided he wanted to go into the wine business. He opened his shop about 2 years and 2 months ago, he said, and he’s there pretty much all the time. Nat Davis, sommelier-about-town, is the store’s wine consultant and works with David to select the stock, but don’t let that convince you that David doesn’t have an intimate relationship with every single bottle he’s got. Most of his wines are obscure, from off-the-beaten path wineries and regions, and he will pull a wine off the shelves if it gets picked up by a local grocery store: he wants his stock to be unique. David hand-sells most of the wine himself, and his store is a seriously excellent place to buy a new wine you’ve never heard of before. Not to be immodest, I know my brands and I only recognized about 40% of the bottles in the store. Also, David likes to turn over his inventory frequently, so you don’t have to worry about getting in a rut if you shop there often, and you probably will. Vino 100 usually has live music on Fridays, which I am assured is chill, not too loud for the small space, and very good. They have no kitchen, but Cafe CastroNova is only two doors down and I hear tell that some food wanders its way down to Vino 100’s tables every so often. 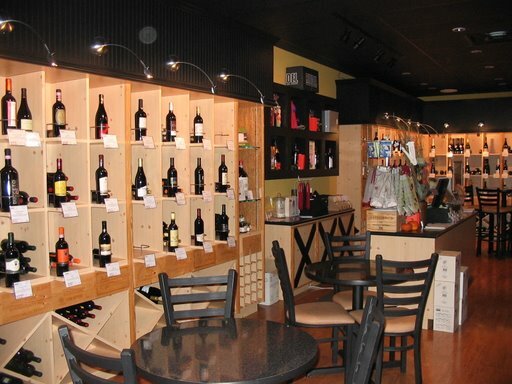 Discover new wine and make new friends at Vino 100 Lakeway — knock three times and tell David the Scamp sent you! Nice write-up, Scamp. 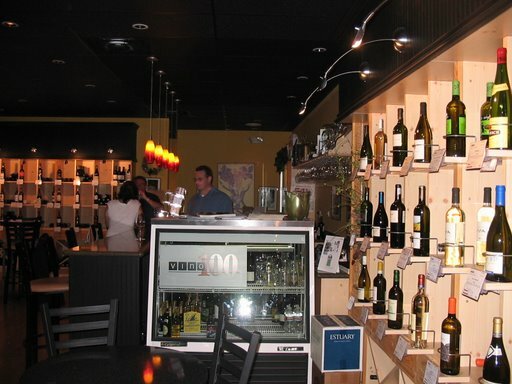 There’s a Vino 100 not far from where I work (in Wilmington, DE) that I’ve been meaning to check out. You’ve just provided proper incentive. Hey, David, thanks for your comment. I’m not sure that all Vino 100 stores are treasure troves of unheard of wines; this is the only one I’ve been to, though there is another one in the Austin area. I’m interested to see what you think of your local Vino 100. Let us know! I just found this write-up, very interesting. 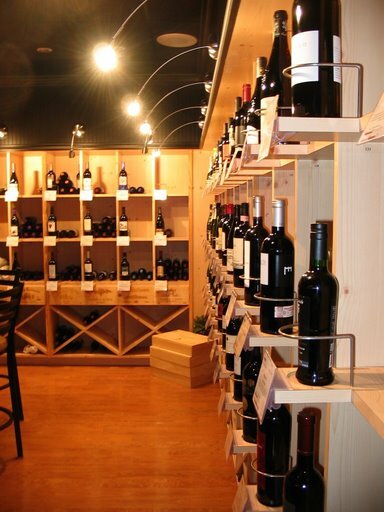 I have been to the Vino100 Geaorgetown locaion and I love it. I have also been to the Round Rock location, but haven’t been to the Lakeway store a little too far away. 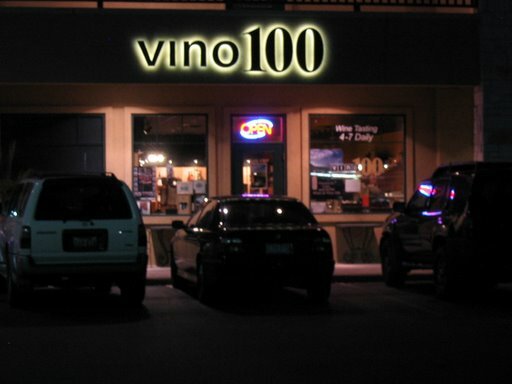 For anyone close to Cedar Park the Vino100 website says a store is coming there soon. Great a vino even closer to me. Thanks for the write up! You should come back and check out some of the other interesting wines we have been finding. Remember to eat well and drink better! Drink Good wine not cute labels!